The Pension Protection Fund produces a monthly index update (this article has data taken as at end-July 2016) of the estimated funding position of the defined benefit schemes which would be potentially eligible for entry into the Fund. 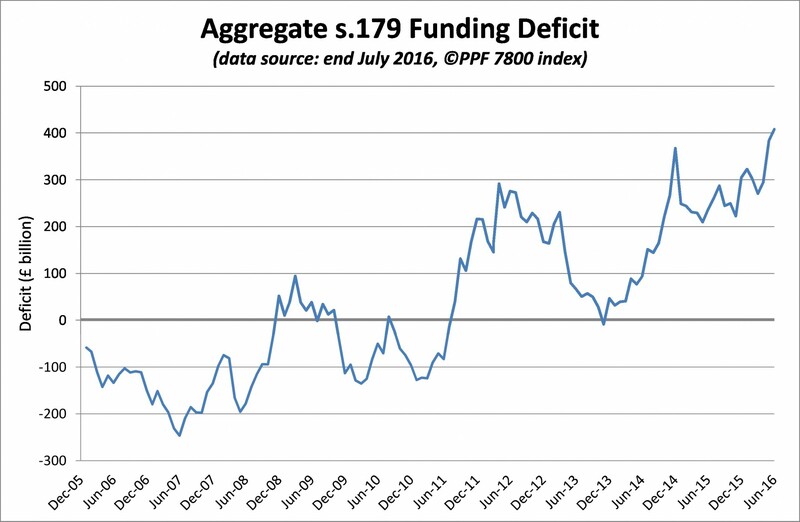 It’s been a while since I last reviewed this data (my last – December 2014 – update is available here: Where did the deficit come from? – a study in scarlet (ink)) and it’s interesting to see how things have changed since then. 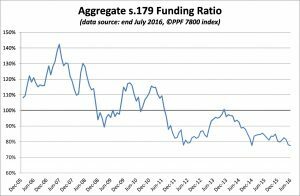 The aggregate PPF 7800 funding ratio has declined from 82.3% at the end of 2014 to 77.5% at the end of July 2016. 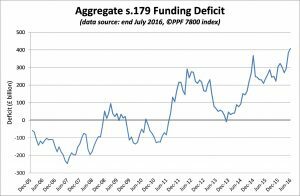 Less often noted is the sharp increase in funding deficit. Gilt yield decreases increase the currently value of liabilities so, even if a scheme’s funding ratio remained unchanged (typically via LDI hedging), the funding deficit will also have risen – and this increases the burden that the scheme places on the employer and hence the scheme’s reliance on covenant. 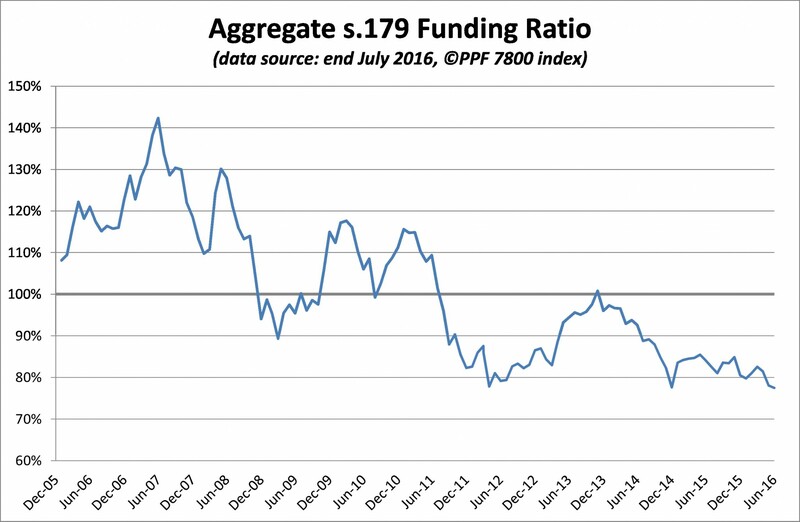 The aggregate PPF 7800 funding deficit increased from £266bn at the end of 2014 to £408bn at the end of July.